They are also providing new Nissan customers an opportunity to win a Nissan car. Arabian Automobiles, the only dealer for Nissan in Dubai, Sharjah and the Northern Emirates, brings us Nissan Fuels Your Drive campaign. As evident, the campaign is for Nissan customers only who will be able to enjoy free fuel for a complete year. Arabian Automobiles is not only offering free fuel, but they are also providing new Nissan customers an opportunity to win a Nissan car at the DSF Grand Nissan Raffle. In this regard, customers will receive a coupon, which will be included in the DSF Raffle giving them a chance to win any of the 36 Nissan vehicles currently on offer. There are 36 cars on offer. 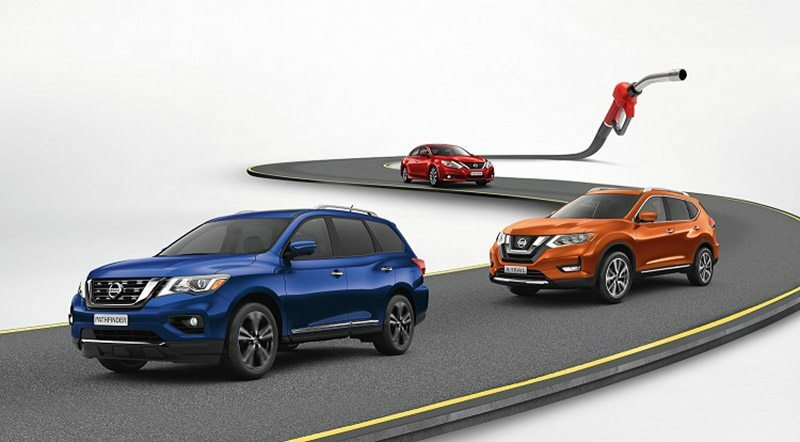 Regarding fuel, new Nissan customers will receive a pre-paid fuel card for 12 months. The card will be valid for 10,000 km, 20,000 km or 40,000 km depending the vehicle purchased. Interested customers should visit any of the Arabian Automobiles showrooms to become a part of Nissan Fuels Your Drive campaign or register their interest here.